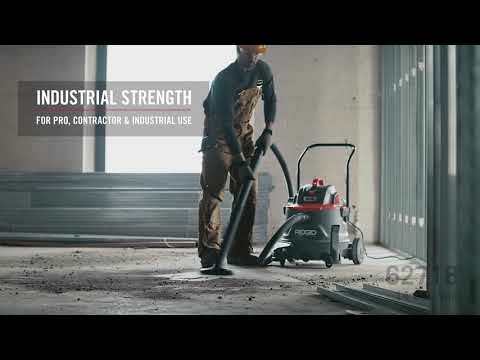 Powerful 6.0 Peak Horsepower - High performance wet dry vacuum. Accessory Storage Caddy - Keeps accessories organized and close at hand for easy access. Professional Locking Hose - The ultra-flexible hose won’t pull loose during use, and is four times more durable than our standard hose. This 1-7/8"x 8' hose has a smooth interior surface to reduce clogging. Accessory Size 2 1/2 in. 14 Gallon NXT Wet/Dry Vac with Cart is rated 5.0 out of 5 by 1. Rated 5 out of 5 by Oildale99 from Works great strong suction I love this vacuum, strong suction, long chord, gets the job done way better than smaller vacuums.